1904 Battling Nelson. Styled like a cabinet card but printed. 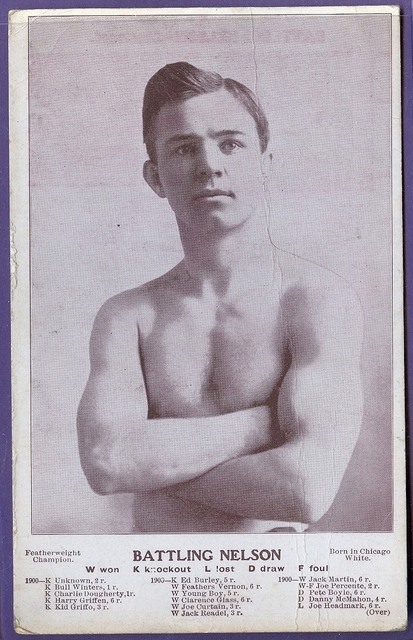 Includes his record to 1904 on the back.